Kris over at GT-R Blog posted some laptimes for the Nismo/Motul R35 GT-R, and as always with the GT-R, they do not disappoint. 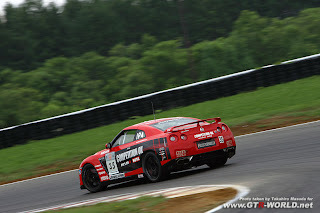 "the GT-R set a 2:12.748 lap time. Spectators are saying the car is fast enough to challenge the Super Taikyu 1 (ST1) class down the straights but due to the S tires it’s not cornering as fast." See how it goes. Again, its a heavy car. Heavy cars do not corner as well. They do not brake as well as lighter cars.